The winner of the Society of Collision Repair Specialists’ nearly $11,000 rivet gun SEMA giveway might have an early lead over competitors in seeking certification for the Cadillac CT6. The XPress 800 pneumatic-hydraulic universal rivet gun, provided by Reliable Automotive Equipment, was already sanctioned by Tesla and Mercedes for work on their vehicles. Now, it’s one of the first — if not the first — rivet guns approved for the mixed-materials Caddy. Cadillac this summer said it would only allow a certified network of shops to work on its aluminum and high-strength steel baby. At a July NACE presentation, the OEM provided a partial list of tools those shops would need, but it hadn’t yet released specifications or actual brands of approved riveters. And that’s just the CT6. Your shop will also have won what SCRS called a “highly lauded,” $10,900-MSRP tool already vetted by two finicky luxury brands. One of SCRS’ other notable offerings during SEMA is its Repairer Driven Education Series, which draws thousands to its sessions on automotive technology and best business practices. Register online now, at the SEMA registration area at the Westgate Las Vegas or outside the RDE venue of Rooms N231-N241 at the Las Vegas Convention Center North Hall. More information available here. The gun might help repair more than just luxury cars. With government fuel efficiency mandates and the Insurance Institute for Highway Safety’s more and more stringent crash protection requirements, mixed-material construction is moving further into the mainstream. “The architecture of the current and future fleet is developing at such a rapid rate, and it is critical for repair facilities to have the equipment necessary to tackle the evolving approaches automakers are using to join their vehicle components together,” SCRS Chairman Andy Dingman said in a statement. “We are really fortunate to have the support and involvement of a company like RAE that shares our vision, and understands the value in giving back to the industry and those investing into the future of the trade by acquiring knowledge at a venue like SEMA. 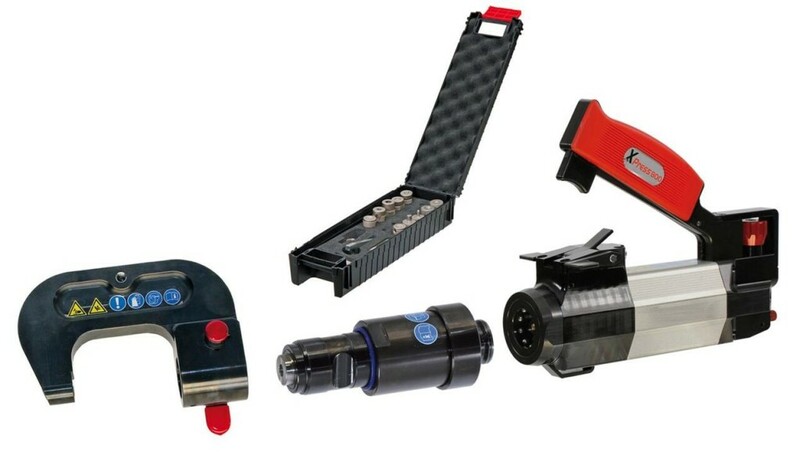 We certainly feel fortunate to offer such a highly sought after piece of equipment, and wish all our attendees great luck in getting selected!”The giveaway itself includes not only the gun, powerpack, short-stroke cylinder and C-arm, but also a toolbox containing a distance adapter, punch-out dies for self-piercing fasteners, 3mm and 5mm dies to install them. You’ll have to do a bit of legwork to win the tool, but you’ll likely learn about some great collision repair offerings in the process. Sponsors this year included AkzoNobel, the Alliance of Automotive Service Providers, AudaExplore, BASF, CCC, Ford, General Motors, Global Finishing Solutions, LKQ, Paint Body & Equipment Specialists, PPG, Pro Spot, Reliable Automotive Equipment, Spanesi, Sherwin-Williams and Toyota. To enter the 1 p.m. Nov. 6 drawing at the SCRS Booth, pay an earlier visit to the location, North Hall No. 11173, and pick up a report card of SCRS’ Repairer Driven Education sponsors. Visit each of the sponsors, ask about their products and services, and obtain a stamp. Get every stamp and drop it off at the SCRS booth by 11:59 a.m. Nov. 6, and you’re eligible. SCRS is giving away other items as well besides this “main event,” so visit the booth to learn more about the prizes and the organization itself.